Today, Lois and I are celebrating the 100th anniversary of Forest Hills Wesleyan Church where we began sharing hope and humor 42 years ago! I have the privilege to give a three-to-four minute reflection of what Forest Hills has meant to us, so . . .
My very first pastorate as minister of youth and children. Thank you, children’s church “kids” for allowing us to try out our music, magic, muppets and sketches on you. You were gracious guinea pigs for our future children’s ministry. It was a joy to share with you in Bible studies, concerts, trips to King’s Island, river boat cruises, retreats and remodeling the old gas station into the Lighthouse Youth Center. And, of course, the last days movie, “A Thief in the Night,” that scared many of you into the kingdom. I am so grateful you have since grown in faith, hope and love and taken leadership here. I couldn’t be prouder of you! My first board meeting. Uh, let’s just move right along to . . .
My first marriage . . . and current marriage . . . to Lois Farra. We’re celebrating our 42nd anniversary with this trip back to our first home. The first member of our “muppet” family, Mr. Platypus, was born on First Avenue. 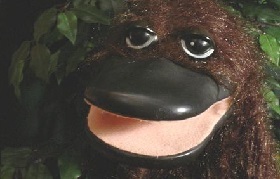 He and “The Platypus Players” went on to perform across the United States and even in Australia. He’s had some “work” done over the years, but is still the same unpredictable character from the church basement. He’s now online. Our first child, Faith, was born at St. Mary’s Hospital. And now, we have two adult children and five grandchildren. Our first missions trip with Lois, Jewell (Hughes) and Cheryl (Karnes) was to Brainerd Indian School in South Dakota. I’ve since had the privilege to speak in several countries in Africa, Asia, Australia and Europe, but it all started right here. My first devotions on “LightLine” which were recorded weekly on the youth center’s answering machine. I’ve since written hundreds for devotional magazines and now on my podcast. It was the start of over 2,000 published articles and 20 books, including my latest The Imitation of Christ: Classic Devotions in Today’s Language. But, again, it all started right here. And today, speaking at my very first 100th-year church anniversary—although, contrary to what some may think—I was not on the initial church planting team. Most of all, thank you to the late Pastor Marvin Hughes, for believing in a brand new college graduate with some wild and crazy ideas about youth ministry. 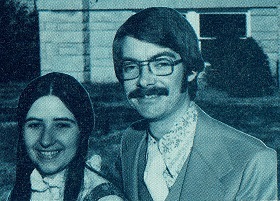 He was brave enough to have me ordained right here at Forest Hills Wesleyan on July 4, 1976, when the district leadership at that time refused to since I had long hair and a wedding ring. Thank you! 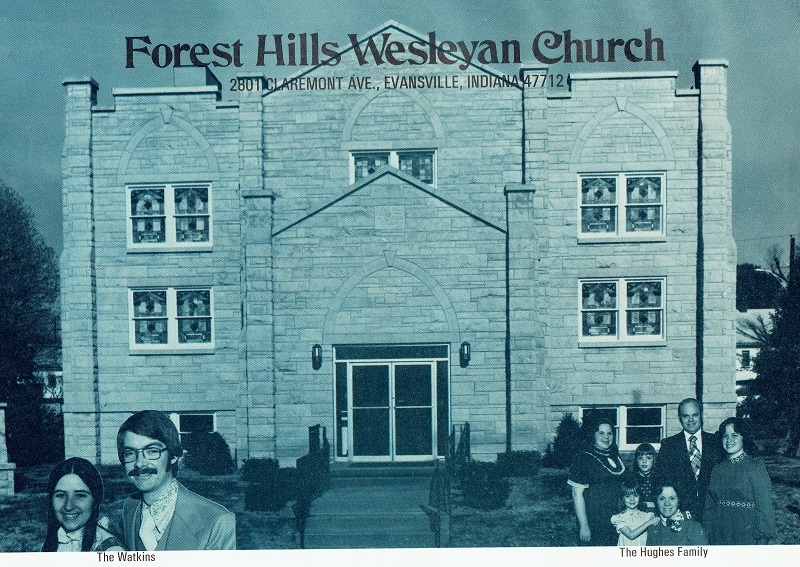 And so, to all the former children’s church, youth group and adult members at Forest Hills Wesleyan from 1974 to 1977, thank you for your love, patience and grace that has been such an integral part of my life. I’ll probably be remembered for my silly songs such as “Pearly Gate Boogie” and “The Eye Ball Song,” so in closing, thank you for allowing me to be a part of the Body of Christ that meets at 2801 Claremont Ave.
“Don’t need the rest of you,” it cried. I guess the eye just hadn’t heard the fire truck that hit the eye broadside. You’ve gotta have your ears to stay alive.